News and EventsHome » News » Are Your Li-ion Batteries Made with the Purest Materials? Are Your Li-ion Batteries Made with the Purest Materials? Applied Spectra’s LIBS instrument can make Li-ion batteries better from beginning to end. Lithium-ion batteries run everything from our cell phones and cameras to power tools and wheelchairs. Since Sony introduced the first commercial Li-ion battery in the early 1990’s, demand has increased due to the explosion of consumer electronic devices, as well as electric and hybrid vehicles. Battery manufacturers want to be sure their batteries are safe and consistent, especially when lives are at stake. Fortunately, the performance specifications for Li-ion batteries are significantly more stringent for automotive applications with respect to power density, energy density, cycle life, and reliability. Keeping up with these specifications from the very beginning can be difficult. Li ion battery power and cycling performance often directly impacts the performance of the very device that it is powering, as in the case of electric vehicles. The performance specifications for the Li-ion battery are much more stringent for automotive applications with respect to power density, energy density, cycle life, and reliability. The better battery is a key to becoming successful in the competitive market against traditional combustion-based automobiles as well as other EV manufacturers. Lithium-ion cells are made up of electrolyte and two electrodes (a cathode and an anode). Monitoring the elemental composition of the raw materials that are used to make the electrodes is a vital quality control step to ensure proper battery chemistry in the final product. Impurities and variation of the active material chemistry may cause accelerated reduction in battery capacity with battery cycling and even result in thermal runaway with the battery catching fire or exploding. 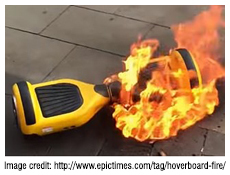 The recent incidents of hoverboard fires across the United States could be the result of defective batteries. 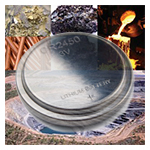 Applied Spectra Inc.’s Laser Induced Breakdown Spectroscopy (LIBS) instrument provides real-time analysis of raw Li-ion battery electrode materials. 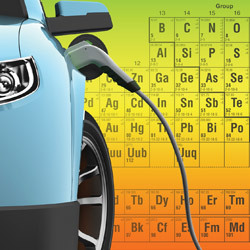 With Applied Spectra’s J200 LIBS instrument, it has been never easier to analyze the composition of raw materials for Li-ion battery electrodes. Compared to ICP based methods that require acid digestion of the samples and complex lab infrastructure to handle and dispose of the acid wastes, the J200 LIBS instrument uses an elegant and safe laser source to directly analyze the raw material powder. The powder may be formed into pellets for more precise determination of the main composition and impurity analysis. The J200 LIBS instrument can also provide cost savings with lower power requirements and no high vacuum equipment needed for analysis. LIBS is becoming a mainstream elemental analysis technique as the instrument has evolved to adopt a greater level of hardware automation and easy-to-use software. The J200 LIBS instrument features the TruLIBS database to quickly identify key elements of electrode raw materials and a sophisticated calibration algorithm for accurate quantitative analysis. 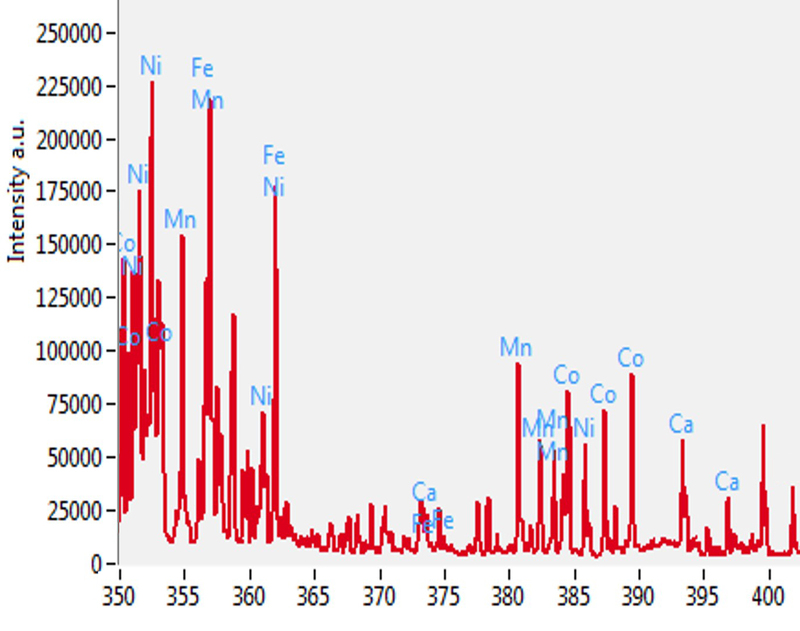 The figure below shows the typical LIBS spectra from LiNiMnCoO2 cathode materials with all elemental lines identified by TruLIBS. The analysis also showed contaminants in the samples, such as Fe (iron), Ca (calcium), and Na (sodium) that can be quickly screened. Using LIBS, Li-ion battery component manufacturers can see where contaminants are entering the process at any point so that they know to fix problems. With little to no sample preparation time, you will get quick and accurate measurements that show the elemental composition of the raw materials going into the components of the Li-ion batteries that power our electric and hybrid vehicles. New breakthroughs in battery technology require techniques, such as LIBS, that can keep up with a broad variety of materials. With Applied Spectra’s J200 LIBS instruments, it is now possible for Li-ion battery manufacturers to consistently produce higher quality and performance batteries and gain an edge in the highly competitive battery market.